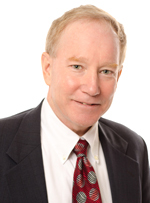 Jim Woy, CPA, is a provider of auditing, accounting, and financial reporting services. Jim also performs peer reviews and presents numerous continuing education courses in the audit and accounting field. He also oversees tax services for corporations, partnerships, individuals, and nonprofit organizations. His service concentrations are government, nonprofit, construction, and health care. With 36 years in public accounting, Jim is a member of the American Institute of CPAs (AICPA) and was awarded the 2013 and 2014 Outstanding Instructor award from the AICPA. He is also a member of the Montana Society of CPAs and the Butte Chapter of the Montana Society of CPAs. In addition, Jim is an adjunct instructor of auditing at Montana Tech and the University of Montana MAC program. He graduated from the University of Montana with a Bachelor of Science in Accounting and is an enthusiastic runner in his spare time. Jim is also the past president of the Butte Family YMCA and the Butte Exchange Club, serves on the Education and Conference Task Force (ECTF) of the AICPA Peer Review Board, and is a technical reviewer for the MSCPA Peer Review Committee. Jim has been married for 39 years to his wife Kate and has two daughters, Ashley and Alyssa, and six grandchildren. Jim is a diehard Chicago Cubs fan and waits for the day to see the Cubs win the World Series.